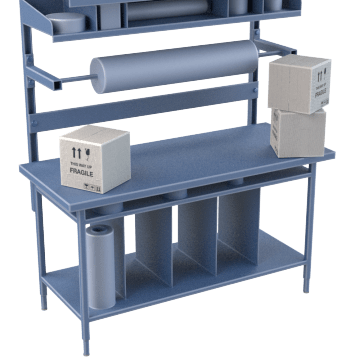 Reduce extra movements, eliminate duplicated tasks, and handle the product fewer times with these stations that integrate logical ways to organize packing supplies with your office's order fulfillment process. Keep many different types of packaging materials organized and help increase efficiency of repetitive tasks in areas dedicated to packaging and shipping. 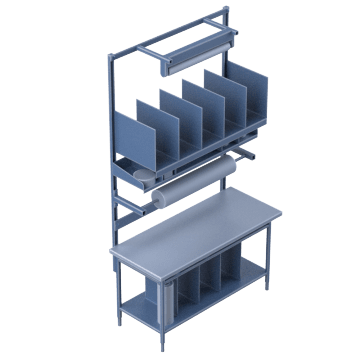 These stationary benches are designed to store wraps, envelopes, and void fillers, and organize boxes. 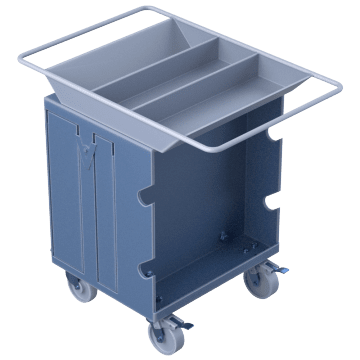 Transport packaging materials such as wrap, strapping, and void fillers to where they're needed on these moveable carts. Best for occasional packaging and shipping needs, they are ideal for situations where the shipment is difficult to move, such as strapping pallets. 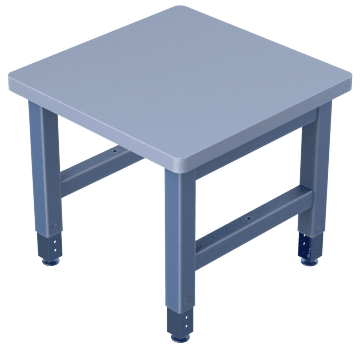 Store scales and other packaging equipment on these tables, designed to keep packaging spaces clean and organized.